Meiji University Cool Japan Summer Program is a 13 day program, comprised of a series of lectures, workshops and field trips on a wide variety of subjects relating to Japan’s contemporary images — from manga, anime and music, to fashion, the latest technology and cuisine. This program will investigate the diverse aspects of Japanese society and uncover their underlying traditional elements as well. 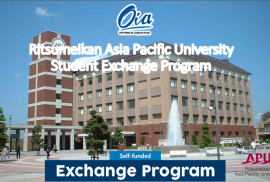 English will be used throughout the course, so Japanese Language ability is not required. For 2017, participant will be traveling to Nagano (Yamanashi) prefecture, to experience nature and traditional aspects of Japan outside the city! Participants will have a chance to see fireworks over the lake wearing a Yukata as well.